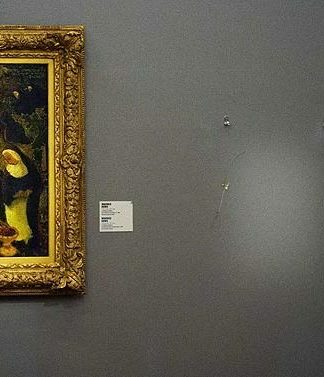 This morning at Sotheby’s New York, the auctioneer for today’s Important Judaica sale announced that The Metropolitan Museum of Art, New York has acquired privately for an undisclosed amount a Magnificent Illuminated Hebrew Bible from Spain, which had previously been scheduled for the auction. 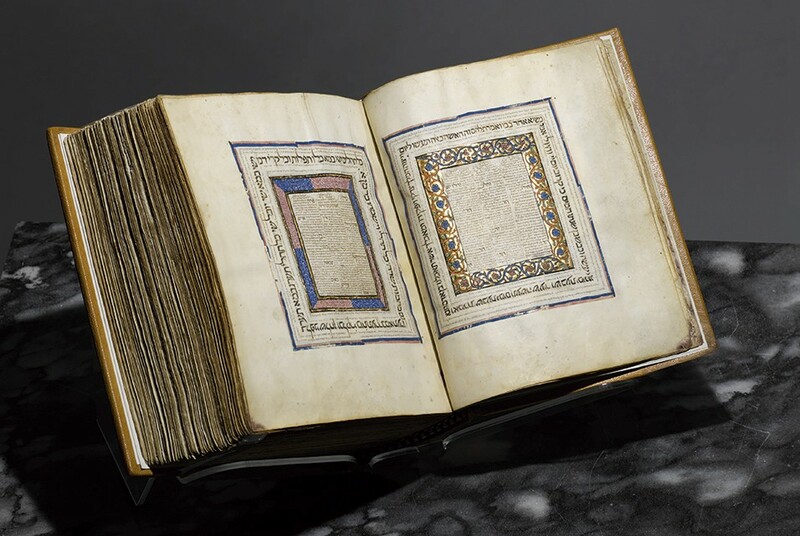 Hailing from the renowned collection of Jaqui E. Safra, the illuminated Bible was produced in Castile during the first half of the 14th century and stands as a remarkable testament to the cross-cultural influences in the Golden Age of medieval Spain. This distinguished illuminated Hebrew Bible is an exceptionally important exemplar of medieval book arts and literary culture. The tradition of Hebrew Bible production which flourished in Castile beginning in the 1230s, began to decline due to the deteriorating political and economic situation of Spanish Jewry, persecutions connected with the Black Plague of 1348-1349, and the anti-Jewish riots of 1391. Thus, only three illuminated Hebrew Bibles from 14th-century Castile have survived, making the present manuscript incredibly unique. 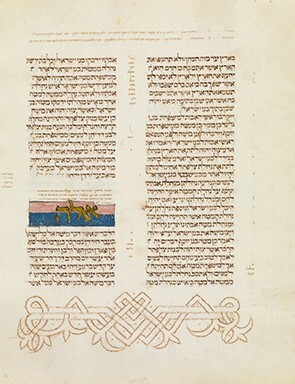 The high quality of its parchment, the generous quantity of its carpet pages, and the lavishness of their design, as well as the formal repertoire of the micrographic decoration, make this volume an exceptional witness to the glorious tradition of medieval Hebrew manuscript illumination.